Jesse Gubernat received a complete defense verdict in an alleged traumatic brain injury trial in Lee County. The Plaintiff was a 51 year old occupational therapy assistant who was alleging our 74 year old client changed lanes and sideswiped her - causing her to strike her head against the car's frame. Our client alleged that she simply changed lanes, continued forward for 10 seconds, and then was rear-ended by the Plaintiff's vehicle. Regardless of the differing versions of the facts, the accident was minor. There was $220 in property damage to our client's vehicle, and $880 in property damage to the Plaintiff's vehicle. There were slight scratches on both vehicles to coincide with the differing version of the facts. The Plaintiff denied a head strike to the EMS and ER, but did allege dizziness, nausea, and trouble with her speech. The initial CT and MRIs of the brain came back completely normal. She thereafter treated with multiple physicians over a 5 year period where she alleged her traumatic brain injury was getting worse and worse over the years - to the point where she had to quit her job and was not functioning on a daily basis. Our expert neurologist opined that his neurological CME was completely within normal limits and the Plaintiff had no traumatic brain injury. Our neuropsych expert opine that the Plaintiff's neuropsych testing was completely within normal limits. After less than two hours of deliberation, the jury came back with a complete defense verdict. 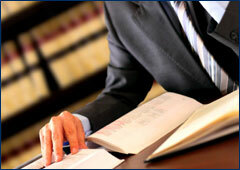 We will be seeking our fees and costs on behalf of our client.